Lesley Lokko is an architect, academic and the author of ten best-selling novels. She is currently Director of School at the Graduate School of Architecture, University of Johannesburg, South Africa. She trained as an architect at the Bartlett School of Architecture from 1989–1995, and gained her PhD in Architecture from the University of London in 2007. She has taught at schools in the US, the UK, Europe, Australia and Africa. She is the editor of White Papers, Black Marks: Race, Culture, Architecture (University of Minnesota Press, 2000); editor-in-chief of FOLIO: Journal of Contemporary African Architecture and is on the editorial board of ARQ (Cambridge University press). She has been an on-going contributor to discourses around identity, race, African urbanism and the speculative nature of African architectural space and practice for nearly thirty years. She is a regular juror at international competitions and symposia, and is a long-term contributor to BBC World. In 2004, she made the successful transition from academic to novelist with the publication of her first novel, Sundowners (Orion 2004), a UK-Guardian top forty best-seller, and has since then followed with eleven further best-sellers, which have been translated into fifteen languages. Dr. Marina Otero Verzier is a Spanish architect and the director of research at Het Nieuwe Instituut in Rotterdam. She leads research initiatives such as “Automated Landscapes,” focusing on the emerging architectures of automated labor, “Architecture of Appropriation,” on squatting as spatial practice, and recently curated the exhibition Steve Bannon: A Propaganda Retrospective by Jonas Staal (2018). Otero is part of the Artistic Team for Manifesta 13 in Marseille. Previously, she was the curator of “Work, Body, Leisure,” the Dutch Pavilion at the 16th Venice International Architecture Biennale in 2018, Chief Curator of the 2016 Oslo Architecture Triennale together with the After Belonging Agency, and director of Global Network Programming at Studio-X- Columbia University GSAPP (New York). Otero is a co-editor of Unmanned: Architecture and Security Series (2016), After Belonging: The Objects, Spaces, and Territories of the Ways We Stay In Transit (2016), and editor of Work, Body, Leisure (2018). She teaches architecture at RCA in London. Marcos founded aLL Design in 2011 with the late Prof Will Alsop. The practice works globally ranging from a tea spoon (for Alessi) to a City. aLL’s mission is to “Make Life Better”, Marcos and the team are creatives who adopt a playful, colourful, often sculptural approach and in the process, reveal the surprisingly functional. As aLL’s CEO, he leads the global offices in Qatar, China and the UK and steers the projects internationally. Marcos is an architect with a design background, specialising in Regeneration, Mixed use, Residential, Meanwhile Spaces, Transport and Sustainability. 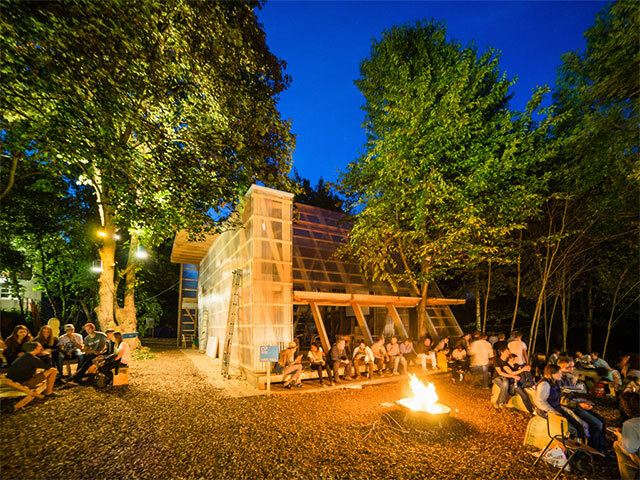 Marcos is often invited as a judge for architectural competitions – most recently The World Architecture Festival (WAF) 2018 and is often invited to speak and lecture on a variety of subjects. aLL Design has close links with the Universities of Greenwich, East London, The London School of Architecture and the YACademy in Bologna, Marcos ran Greenwich University’s Unit 1, Architecture course for two years and mentored students from the University of East London (UEL). AD—WO is an architectural practice based in Providence, Rhode Island, and by extension, between Melbourne and Addis Ababa. 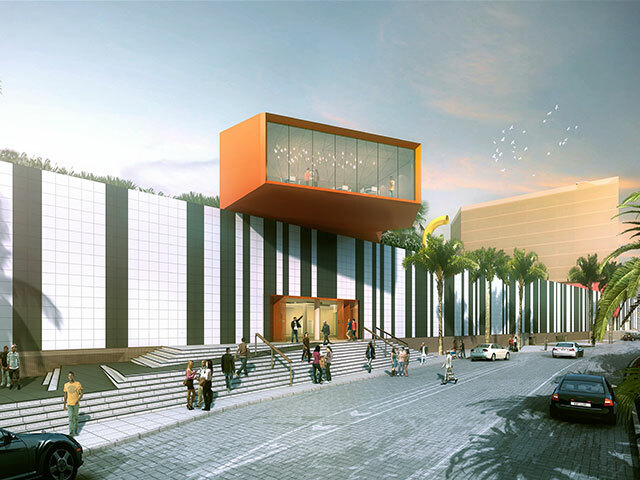 The practice aims to establish an operational terrain between the architecture’s content and container. 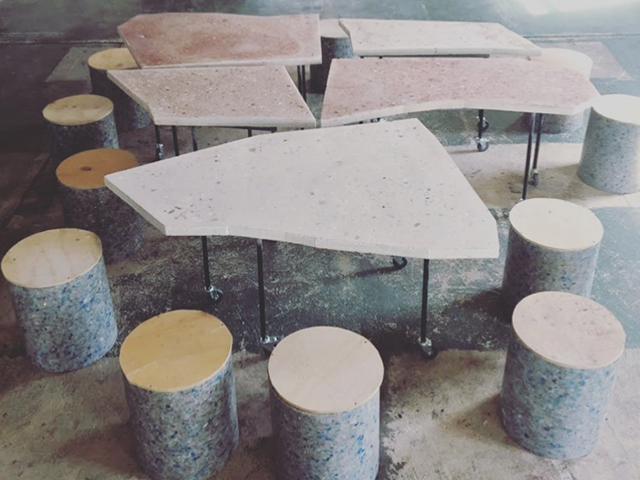 AD–WO has undertaken projects in Ethiopia, Israel, South Korea, Sweden, and the United States, engaging with programs as varied as multi-family residential, agricultural township revitalization, civic infrastructure in immigrant communities, collaborative art installations, and exhibition design. 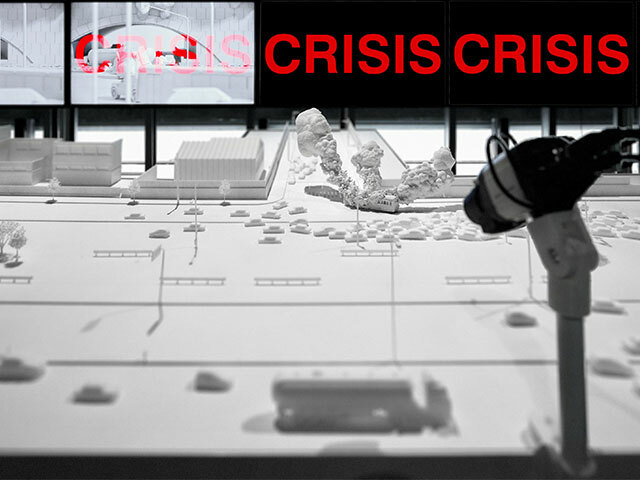 As a roving practice, AD–WO is committed to research and design across geopolitical borders. Emanuel Admassu is a founding partner of AD-WO and an Assistant Professor at the Rhode Island School of Design. 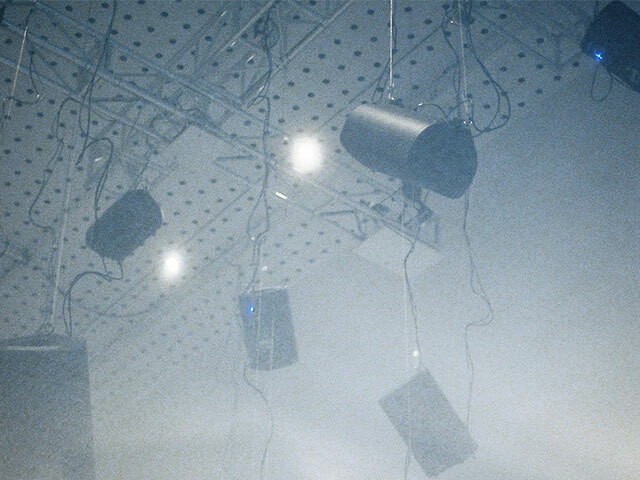 Admassu has taught at Columbia University (GSAPP) and worked with design practices in Atlanta and New York City. Admassu’s research focuses on examining the constructed identities of urban markets in East Africa. 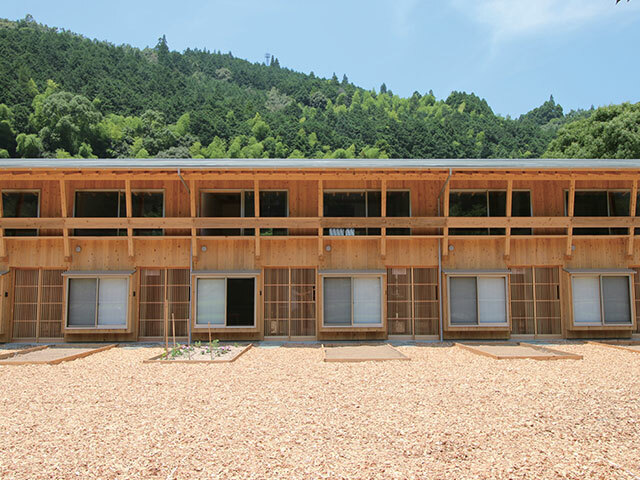 Admassu completed his Bachelor of Architecture at Southern Polytechnic State University, followed by a Master of Advanced Architectural Design and Advanced Architectural Research certificate at Columbia University. 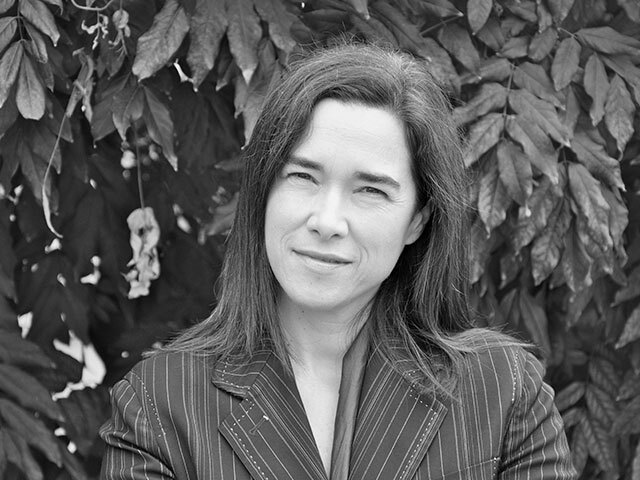 Jen Wood is a founding partner of AD–WO. Until 2018, Wood was at BIG as Project Leader of The Spiral tower in New York City. 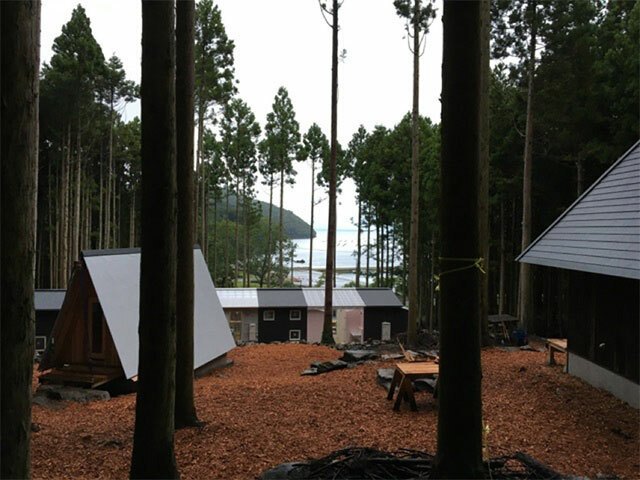 Wood has also worked with Toshihiro Oki Architect in New York, LAB Architecture Studio, and Minifie van Schaik in Melbourne. Her project experience ranges from residential through to large-scale urban development. Wood received her Bachelor and Master of Architecture at the Royal Melbourne Institute of Technology, and a Master in Advanced Architectural Design at Columbia University. Wood is a licensed Architect in the state of New York. Farzin Lotfi-Jam. Credit: James Turle. 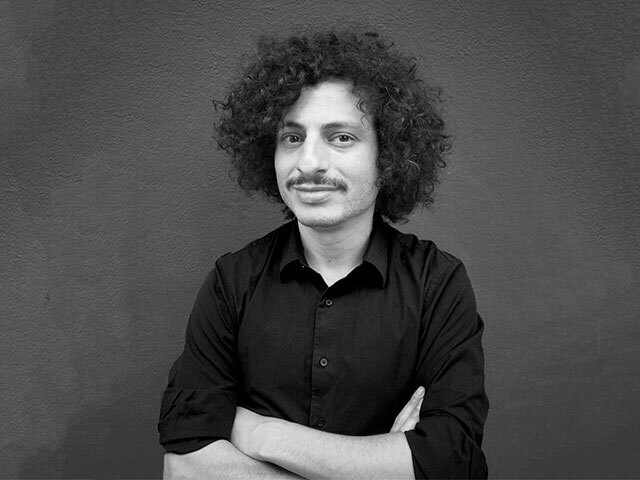 Farzin Lotfi-Jam is director of Farzin Farzin, a multidisciplinary studio that designs spaces, software, and media. He is faculty in The Irwin S. Chanin School of Architecture at the Cooper Union and holds advanced degrees from Columbia University and RMIT University. Currently, he is an inaugural Open Call artist at The Shed in New York City. 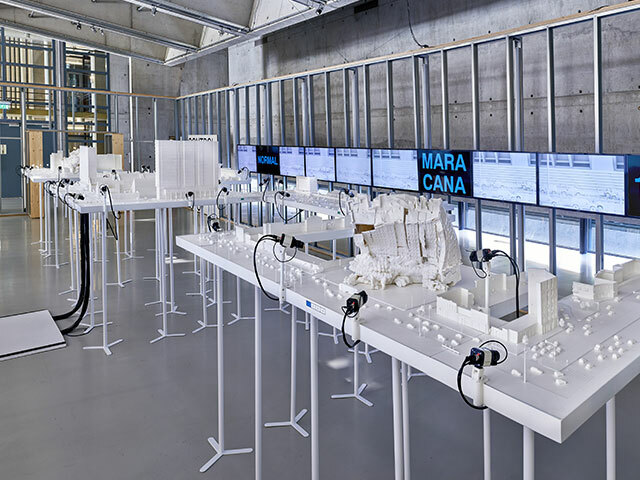 Farzin’s research investigates how architecture and cities are transformed by digital technologies and their attendant power relations, looking at scales from the corporeal to the planetary. 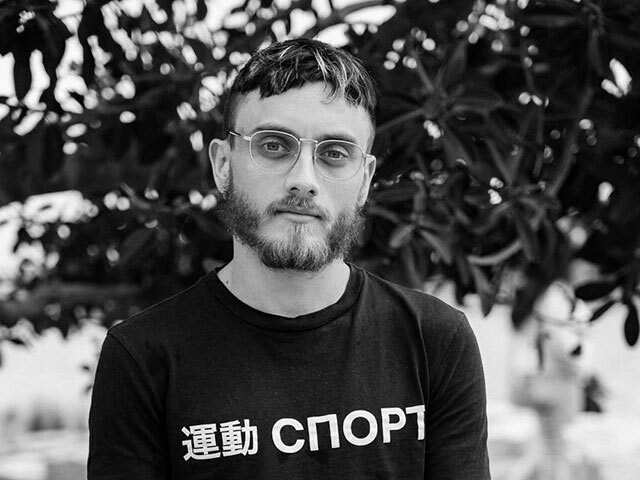 His research has been supported by the Veski organization, the Graham Foundation, and Akademie Schloss Solitude, and has been collected by the Centre Pompidou. 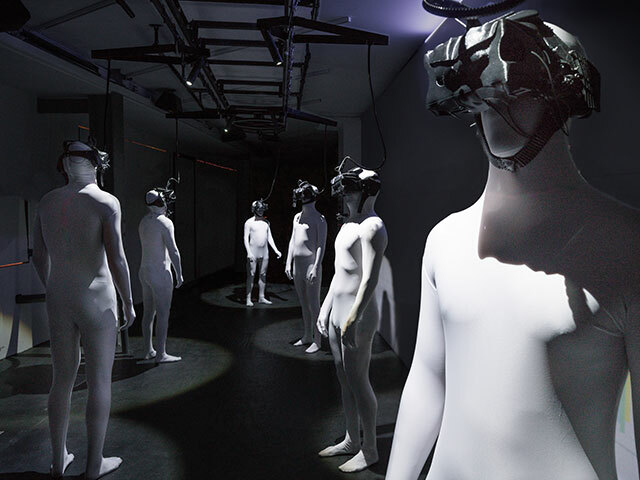 He has been exhibited at Storefront for Art and Architecture, MAXXI, the Oslo Architecture Triennale, the Istanbul Design Biennial, the Venice Architecture Biennale, and elsewhere. His co-authored book Modern Management Methods will be published by Columbia Books on Architecture and the City this year. Momoyo Kaijima (b.1969, Tokyo) graduated from the Faculty of Domestic Science at Japan Women’s University in 1991 and founded Atelier Bow-Wow with Yoshiharu Tsukamoto in 1992. Momoyo Kaijima taught as a visiting professor at the Department of Architecture at Harvard GSD (2003, 2016), guest professor at ETHZ (2005-07), as well as at the Royal Danish Academy of Fine Arts (2011-12), Rice University (2014-15), Delft University of Technology (2015-16), and Columbia University (2017). 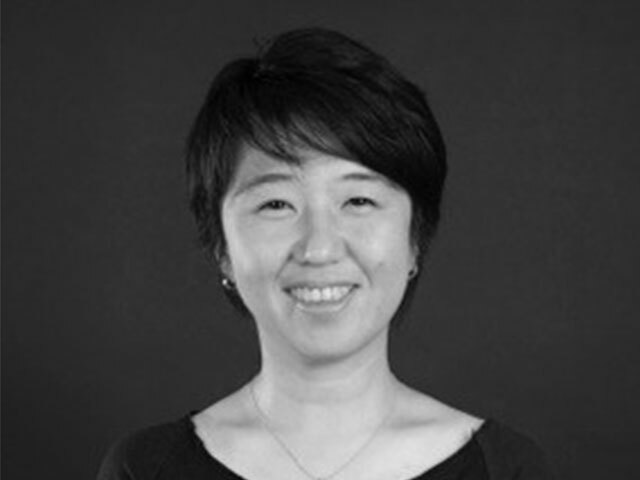 While engaging in design projects for houses, public buildings and station plazas, she has conducted numerous investigations of the city through architecture such as Made in Tokyo and Pet Architecture and is the curator of Japan Pavilion at the 16th International Architecture Exhibition – La Biennale di Venezia. Sol is an architect and urban designer leading RADDAR, an innovative practice in research and design acting in Sao Paulo and Mexico City. Together with her team, Sol works in projects spanning different scales, contexts and formats. From academia to construction, RADDAR intertwines the theoretical and practical issues that architecture face in the contemporary urban context. 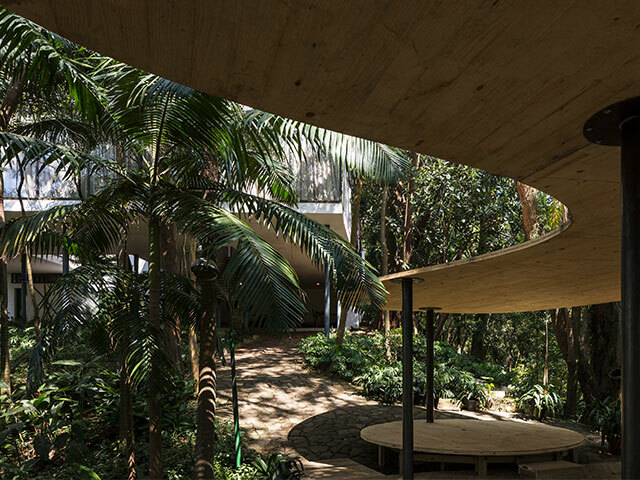 Sol is also the cultural director of the Instituto Bardi / Casa de Vidro, in charge of the exhibitions, cultural events and coordinator of Lina Bo Bardi’s archive. 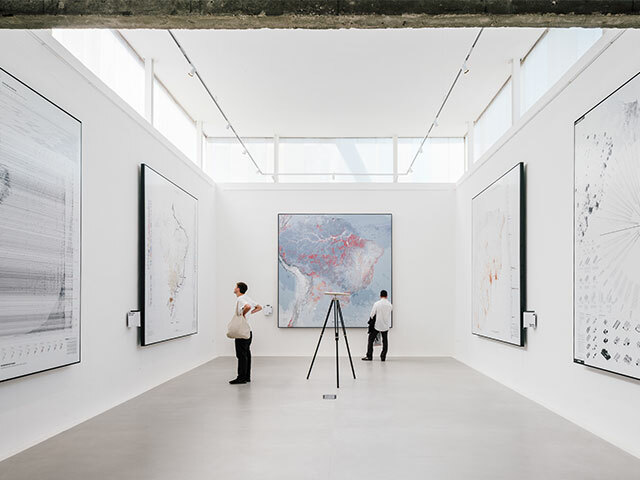 In 2018, Sol was the curator of the exhibition Walls of Air and editor of the homonymous book for the Brazilian Pavilion for the 16th International Exhibition at the Venice Biennale. 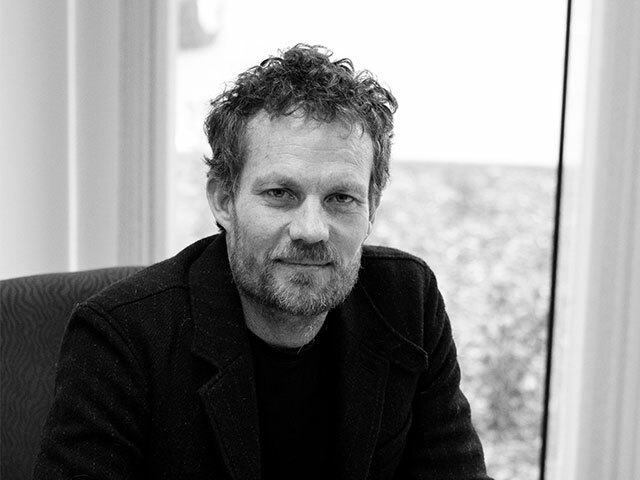 Jeremy is the founding Director of Breathe Architecture, a team of dedicated Architects that have built a reputation for delivering high quality design and sustainable Architecture for all scale projects. Breathe Architecture has been focusing on sustainable urbanisation and in particular have been investigating how to deliver more affordable urban housing to Melbournians. Breathe were the instigators of The Commons housing project in Brunswick and now are collaborating with other Melbourne Architects to deliver the Nightingale Model. Nightingale is intended to be an open source housing model led by Architects. Jeremy believes that architects, through collaboration, can drive real positive change in this city we call home. Olivia Hyde is currently acting NSW Government Architect. She is a registered architect, with wide ranging private sector experience on projects locally and internationally. 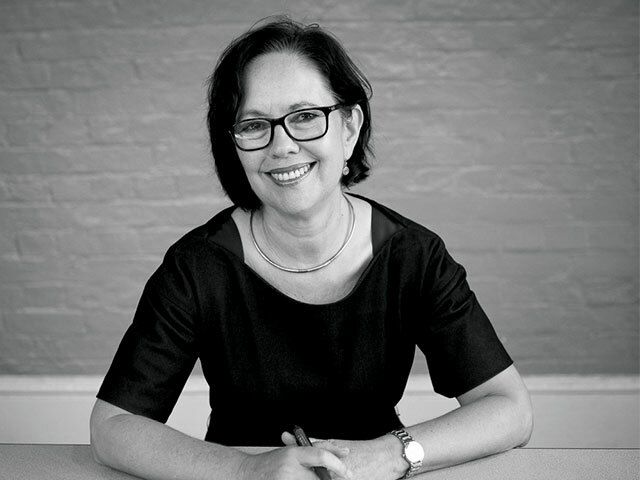 In her role with the Government Architect, Olivia has overseen the development of a range of measures to support and promote greater design quality in the built environment across the state, including the development and launch of the pilot NSW State Design Review Panel. Olivia has studied, worked, taught and lectured in Australia, the USA, Asia and Europe. 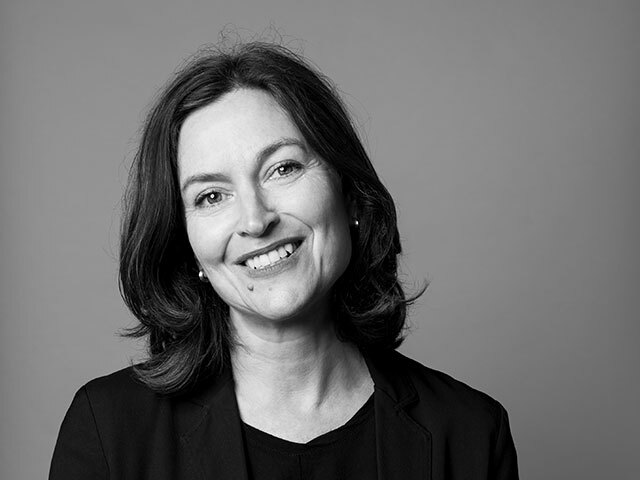 Prior to joining GANSW she was a Senior Practice Director at BVN Architects in Sydney, and worked for Foster and Partners in Hong Kong and London. 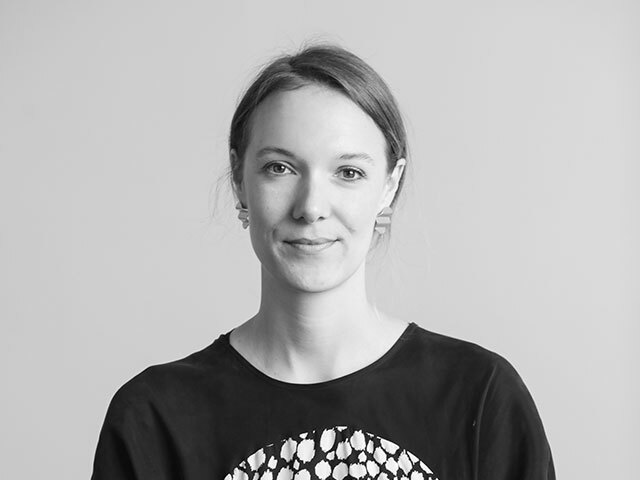 In addition to practise, Olivia has taught locally and internationally at the University of Michigan, where she won a teaching and research fellowship, and is a regular contributing writer for Architecture Australia. Sarah Lynn Rees is a Palawa woman descending from the Plangermaireener and Trawlwoolway people of north-east Tasmania. Awarded the Charlie Perkins scholarship, Sarah attended the University of Cambridge where she produced a thesis on Indigenous housing in remote Australian communities and graduated with an MPhil in Architecture and Urban Design. 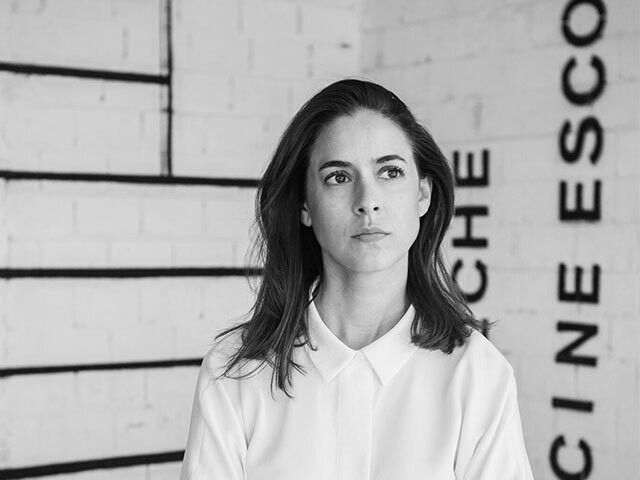 Having worked in London and now back in Birrarung Ga (Melbourne), Sarah practices at Jackson Clements Burrows Architects; delivers program consultation and curation for the BLAKitecture series at MPavilion; along with various teaching roles across the Melbourne metropolitan Universities. 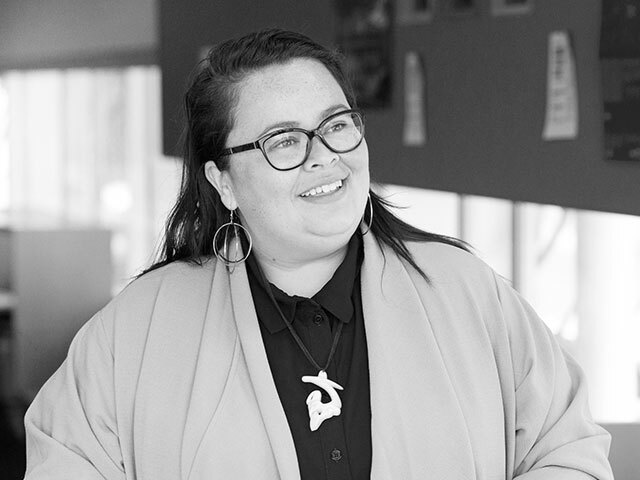 Sarah is passionate about Indigenising the built environment and advocating for protocols and processes which respect and celebrate our Indigenous Cultural Authority. Sarah also sits on the Australian Institute of Architects’ Victorian EmAGN committee; the Institute’s Architect Victoria Editorial Committee; the National Trust Landscape Reference Group; the National Trust Aboriginal Advisory Group and various other committees. 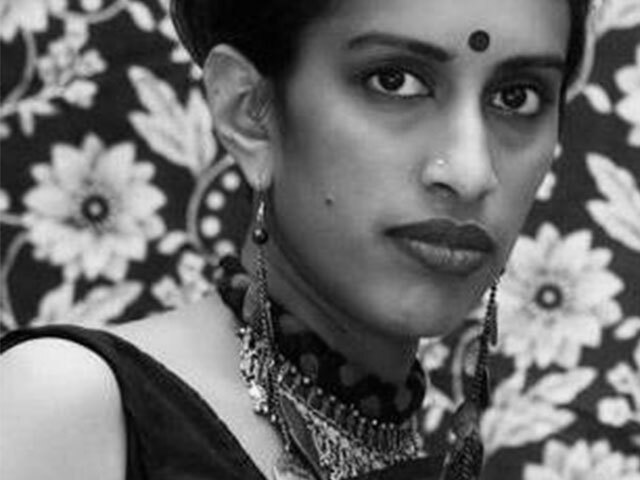 Dhakshayini is the Human Rights Director at the Australasian Centre for Corporate Responsibility (ACCR). ACCR is a not-for-profit association whose mission is to achieve advances on climate change, human rights, and gender/race equity by influencing ASX 100 listed companies’ through research, shareholder activism, and high impact media. She began her career as a civil engineer at Sinclair Knight Merz (now Jacobs), and has worked for organisations such as the United Nations International Strategy for Disaster Reduction (UNISDR) in Fiji, Net Balance (now part of EY), Small Giants, RMIT and was the co-founder of YLab (www.ylab.global, part of the Foundation for Young Australians). Mountainside House. Image: Brett Boardman. 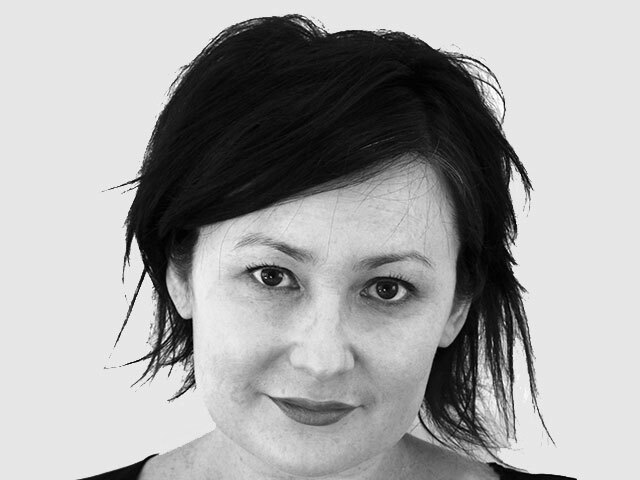 Laura Harding is a Sydney based designer and writer who has worked with the studio of Hill Thalis Architecture + Urban Projects since 1996. Her work encompasses a wide range of urban, multiple housing and architectural projects, many of which have received industry awards. Laura’s architectural writing and criticism has been widely published in a range of architectural journals, news media and monographs, and she was awarded the Adrian Ashton Prize for architectural criticism in 2013. She regularly participates in design studios and reviews in the Architectural faculties of Sydney’s major universities. 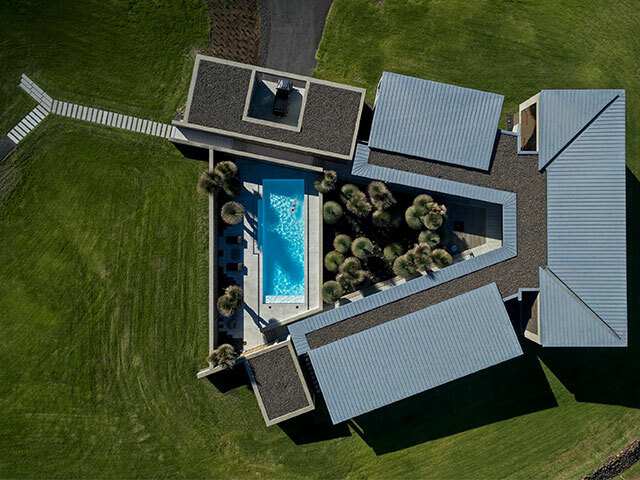 Baracco+Wright Architects, founded in 2004, seek opportunities to position architecture in a catalytic role that places the architect in the role of strategic thinker across disciplinary boundaries. 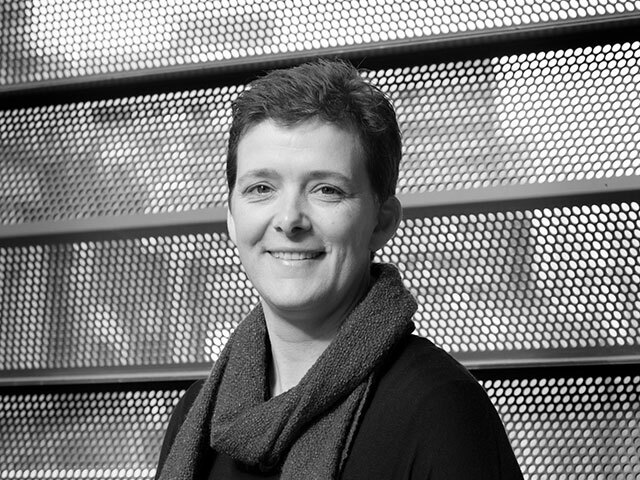 Louise Wright is a practicing architect and director of Baracco+Wright Architects. She has a PhD in Architecture from RMIT University. 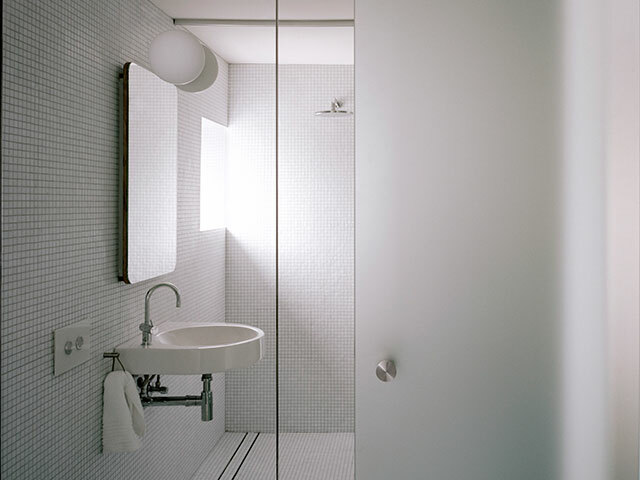 Mauro Baracco is a practicing architect and a director of Baracco+Wright Architects. He has a PhD in Architecture from and is also an Associate Professor at RMIT University in the School of Architecture and Design, Melbourne, Australia where he was the Deputy Dean of Landscape Architecture (2013-15). 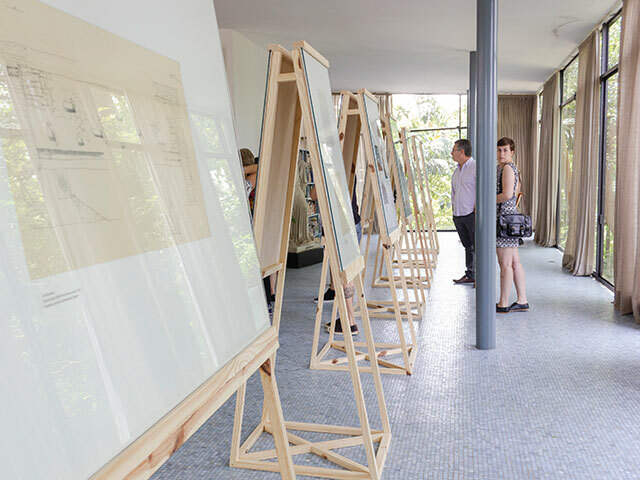 In collaboration with the artist Linda Tegg, Baracco+Wright were the Creative Directors of the Institute’s Australian Pavilion 2018 exhibition at the Biennale di Architettura di Venezia with the theme Repair. They will exhibit an installation at the 2019 Milan Triennale “Broken Nature”. 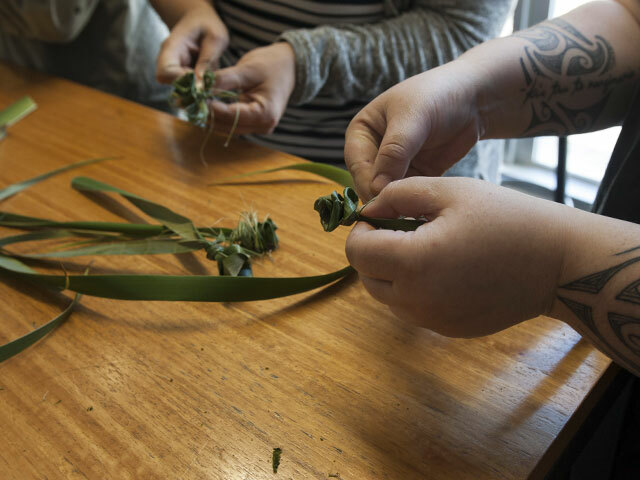 Future Method is a research and design studio — led by Indigenous Practitioner Joel Sherwood-Spring and Non-Indigenous (Settler) practitioner Genevieve Murray — that works at the intersection of place, politics, materiality and people whether that be a building, event, art installation or discourse. We work collaboratively with other emerging practitioners, established firms, community groups, institutions, private clients and academics — seeking to extend and enrich the field of interdisciplinarity and collective culture and push them into the public domain. Professor Libby Porter is a scholar in planning and urban geography, based at the Centre for Urban Research, RMIT University. Her work is about displacement and dispossession in cities. She has contributed to debates about the relationship between Indigenous rights in planning and urban development, as well as the displacement effects of urban regeneration, urban governance, and the politics of urban informality. Libby has worked in planning and urban policy practice, and taught in planning and geography schools at the Universities of Birmingham, Sheffield, Glasgow and Monash. 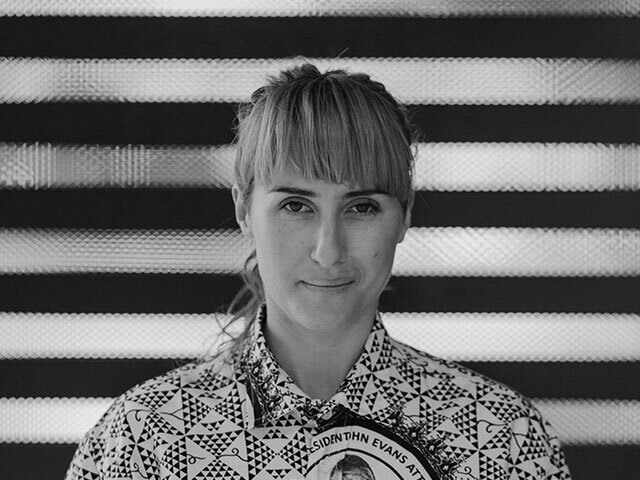 As an activist, Libby has coordinated anti-eviction campaigns in Glasgow against the Commonwealth Games, and is currently engaged in community-based actions to defend public housing in Melbourne. Libby co-founded Planners Network UK, a progressive voice for radical planning in the UK and is an active member of the International Network of Urban Research and Action. Scott Fry, Founder and MD of Loving Earth. It was while living in India studying yoga and working with Adivasi rice farmers on the outskirts of Mumbai that the idea of Loving Earth was born. The farmers were selling their topsoil and cutting down their trees to make bricks. Scott realised he needed to create a way to help these farmers protect their way of living with the land. Six years later, after living in Mexico and working with several large indigenous cooperatives, he moved back to Australia and saw that by creating a high quality organic food brand that lived its shared values with these communities, it could make a difference. Loving Earth was born. Loving Earth is now a global brand and a pioneer of Regenerative Chocolate, working with an indigenous community in the Amazon to grow cacao in a regenerative agroforestry system, and produce chocolate bars that are truly net regenerative. Cecille is an innovative thinker with a proven track record in an ability to see opportunities in unexpected places, to enhance business and social sector opportunities and craft engaging and meaningful communication strategies. 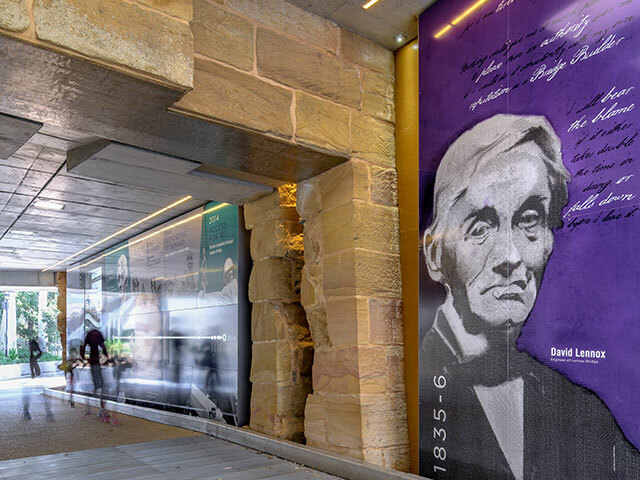 An entrepreneur in her own right, she is responsible for the creation and development of the Banksia award-winning Liveability Features Framework which is now owned and supported by CSIRO. This new way of marketing new and existing Australian properties in widely believed to be the beginning of a whole-industry market transformation – identifying and verifying 17 benchmarked Liveability Features which offer the potential for ongoing affordability and comfort into the property transaction at point sale or rent. David leads the urban design team at HASSELL, with experience leading a range of city-shaping master planning and urban design projects in Australia, Asia and North America. 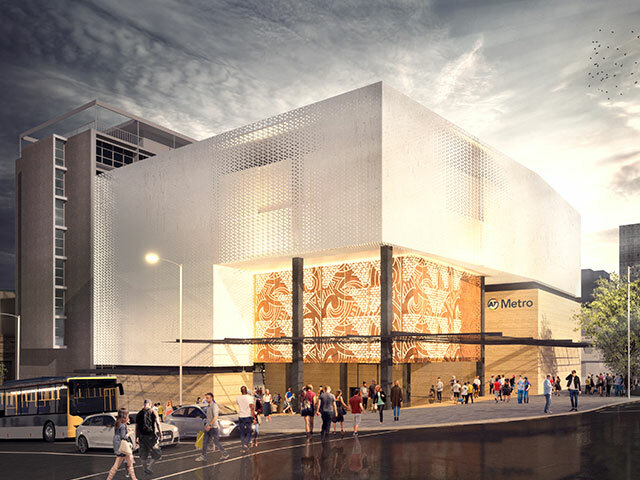 Key projects include the Newcastle City Centre regeneration strategy, master plans for Summer Hill Flour Mill and Darwin Waterfront City, and a two-million tree urban forest proposal in the heart of Shanghai. Most recently, David has been working on social and ecological resilience strategies for San Francisco Bay as part of the Resilience by Design challenge. 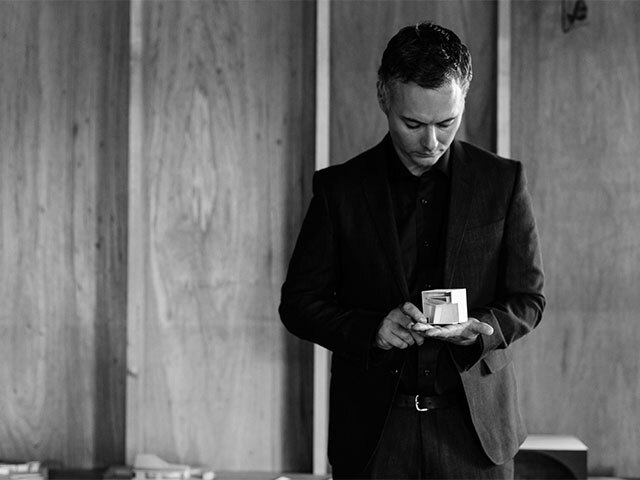 David established and leads Urban Futures, HASSELL’s program of urban research, design speculation and discourse. 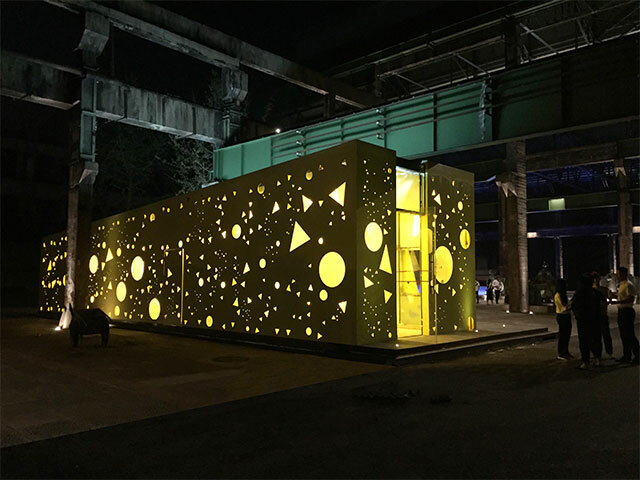 Receiving extensive local and international media coverage, Urban Futures has produced the Little House (a pop-up space for kids to talk about the future of the city), a 6-city interactive exhibition on high-density housing, and SuperDensity, a multi-dimensional neighbourhood system for Hong Kong. Ros Moriarty is a business owner, social investor and author. She is the co-founder of Balarinji and is the company’s Creative and Managing Director. 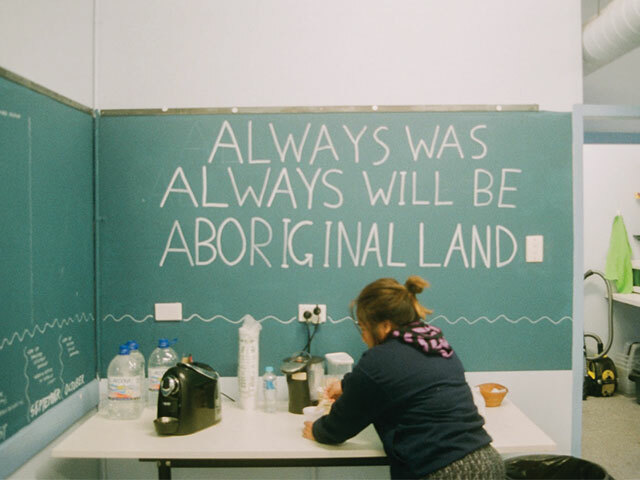 Balarinji is an Aboriginal owned Sydney-based strategy and design agency best known for the Balarinji-Qantas collection of art aircraft featuring Aboriginal designs and Sydney Metro West rail corridor masterplanning. Established 35 years ago, Balarinji’s work for public and private sectors spans Cultural Design Principles for major infrastructure, public art and curatorial, urban regeneration, branding campaigns and digital. 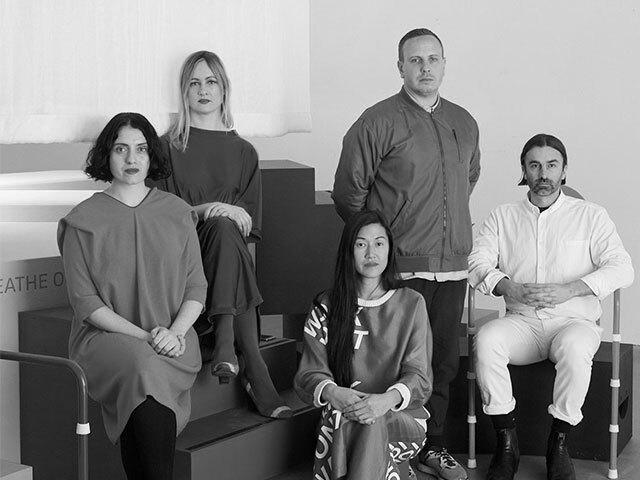 Taylor and Hinds Architects was founded in 2010 by Poppy Taylor and Mat Hinds, as graduates of the architecture program of the University of Tasmania. The practice has since established a leading national reputation for a body of work that is strategic, technically rigorous, experientially rich and highly awarded. 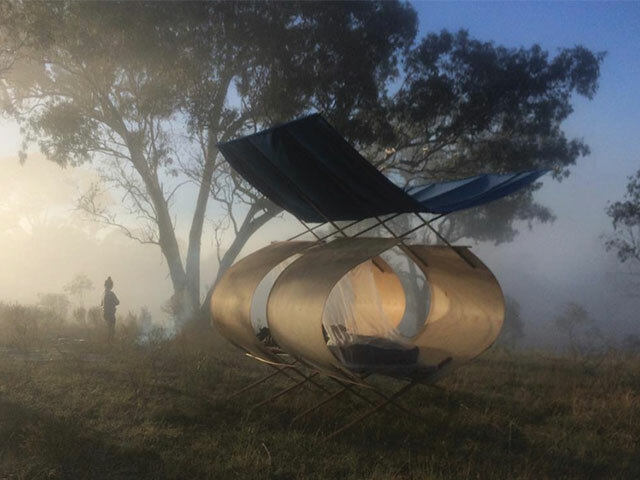 Tasmanian by birth, both Mat and Poppy have gained extensive local and international design and procurement experience, working on a number of locally and nationally awarded residential, heritage, commercial, tourism and hospitality projects. Through original and strategic design thinking the practice delivers high quality, refined, and context specific work, that is economically, environmentally, and functionally considered. 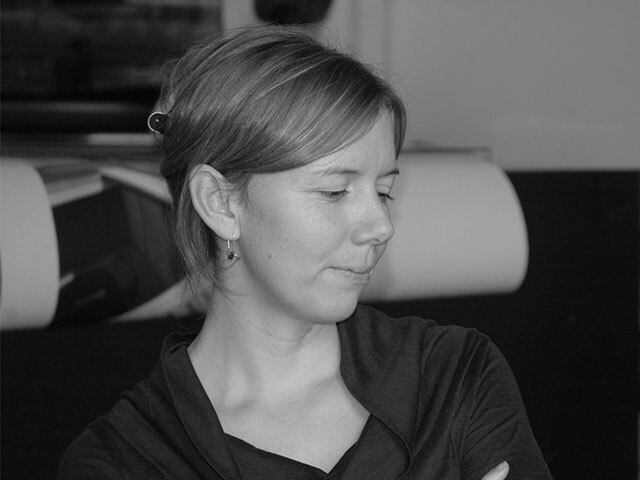 Shelley Penn is a Melbourne-based architect and urbanist. Her work has been recognised through awards, publication and exhibition, and it includes strategic advice to government and the private sector on architecture and urban design. 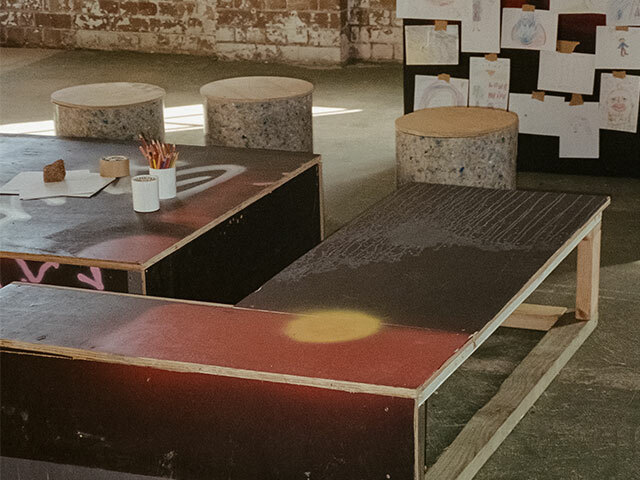 Current roles include Director of the Australian Centre for Contemporary Art and Infranexus Management Pty Ltd, Advisory Board member at the Office of Projects Victoria and Women’s Property Initiatives. She is a member of the Waterways of the West Ministerial Advisory Committee, University Architect and Adjunct Professor in Architecture Practice at Monash University, Associate Professor in Architecture at the Melbourne School of Design, and member of State Design Review Panels for Victoria, NSW and the ACT. Past roles include Chair National Capital Authority, National President Australian Institute of Architects and Associate Victorian Government Architect. In 2014 she was named an AFR/Westpac ‘100 Women of Influence’ – Public Policy Category. Through practice, advocacy and advisory work, Shelley is driven by an enduring commitment to enriching culture, improving social outcomes and sustainability through advancing the quality of the built environment. Nic Brunsdon is the Director of the architectural practice POST-, and the Director of the urban program Spacemarket, which pairs disused spaces with useful people. 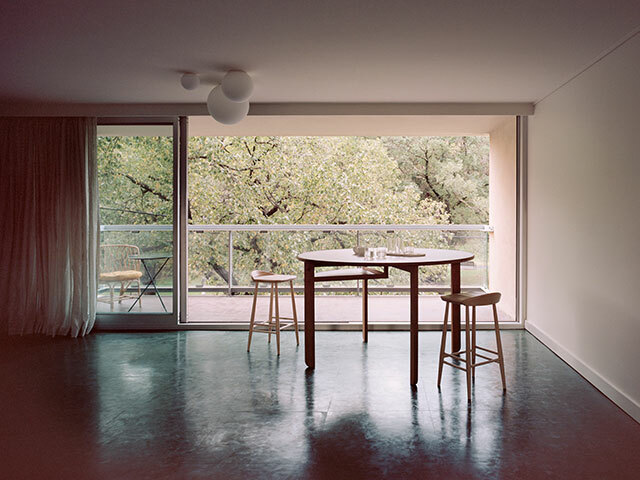 In 2015 he was the winner of the Australian Institute of Architects Emerging Architect Prize, firstly for Western Australia and then nationally. He is a past nominee for the 40 under 40 young business leaders award, a nominated ‘thought leader’ for the City of Perth, the 2015 recipient of the Dulux International Study Tour for Emerging Architects, and the 2017/18 recipient of the Gil Nicol Biennial International Study Bursary. 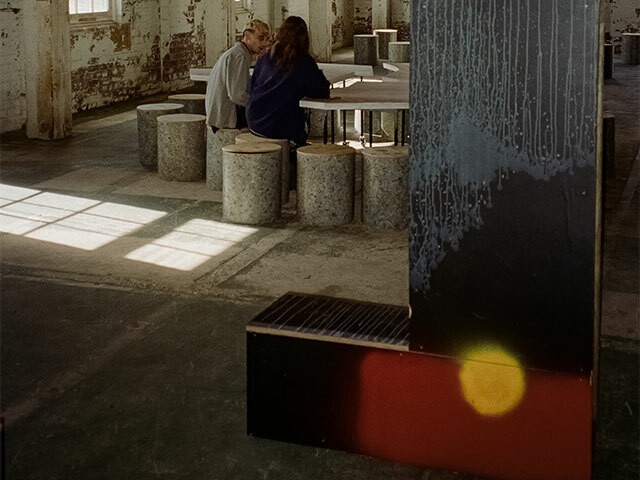 Since its formation, Spacemarket has paired over 400 tenants across 20,000m2 of floorspace and continues to work across Australia with POST- architecture to activate forgotten, unloved, and in-between use spaces that test the changing nature of work and occupancy. Tania is an architect, artist, educator, writer and researcher. She is interested in the relationship of people and communities to architecture, cities and public space. Tania is the president of Citizens for Melbourne, a public space advocacy group running the ‘Our City, Our Square’ campaign. This campaign is working to safeguard Federation Square’s public space by opposing the demolition of Federation Square’s Yarra building and its replacement with an Apple store. Between them the Citizens for Melbourne represent substantial expertise in the built environment and tens of thousands of Change.org petition signatories opposed to the decision. Tania is the co-founder of OoPLA (formerly OpenHAUS), an architectural research practice she runs in collaboration with Dr. Christine Phillips. 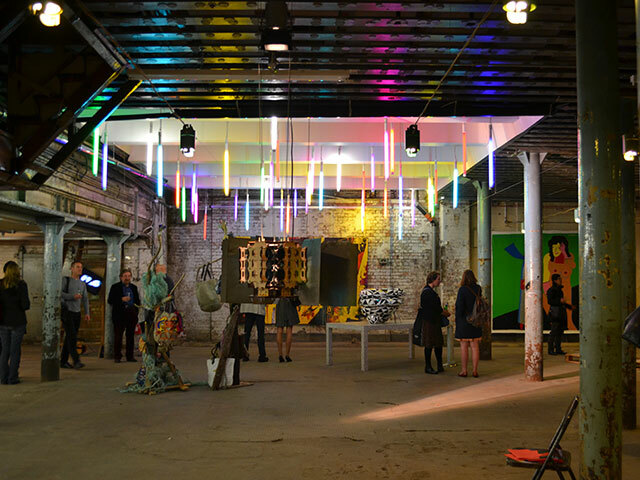 Through the creation of public art projects, exhibitions and architectural events OoPLA aims to draw attention to the public spaces we use every day and how these spaces affect and influence our lives. 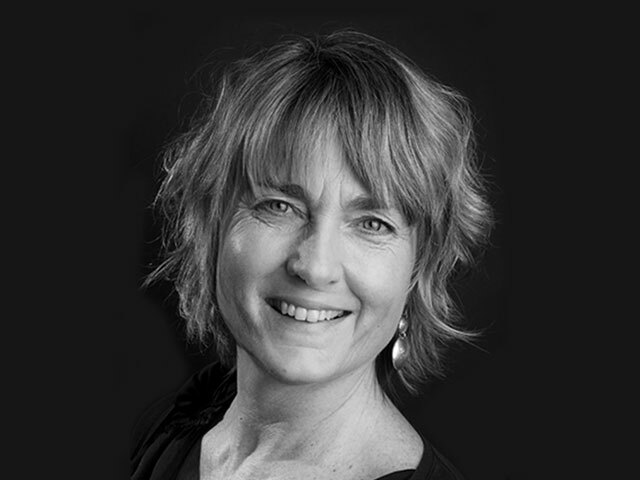 Kerstin Thompson is Principal of Kerstin Thompson Architects (KTA) and Adjunct Professor at RMIT and Monash Universities. 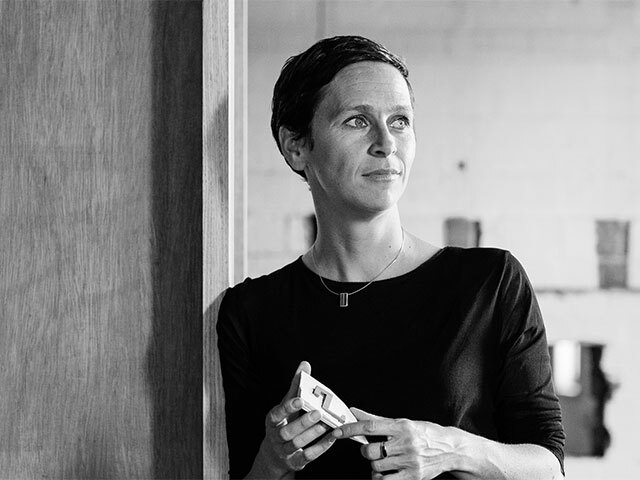 In recognition for the work of her practice, contribution to the profession and its education, Kerstin was elevated to Life Fellow by the Australian Institute of Architects in 2017. KTA’s practice focuses on architecture as a civic endeavor, with an emphasis on user experience and enjoyment of place. 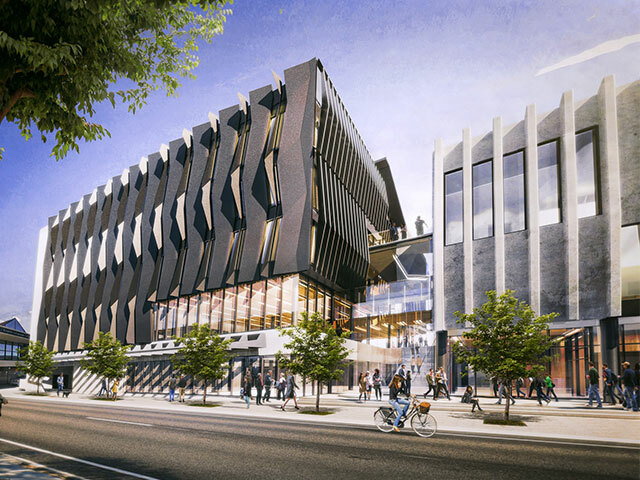 Current and recent significant projects include The Stables, VCA Southbank Campus, The University of Melbourne; Arthur and Yvonne Boyd Riversdale Creative Learning Centre, Accommodation and Gallery for Bundanon Trust; 100 Queen Street, Melbourne tower & precinct redevelopment for GPT Group; Jewish Holocaust Centre redevelopment; and a number of exemplar multiple and single residential projects. Sibling Architecture is a practice that makes people’s lives better through creating environments, experiences and strategies that respond to social needs and desires. 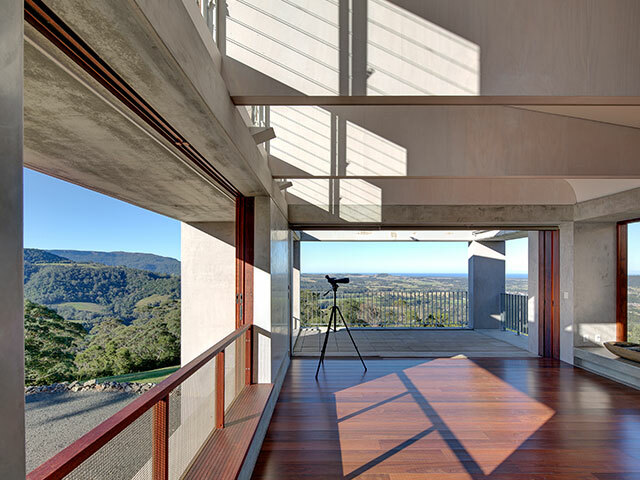 This aspiration has seen Sibling’s folio span a diverse range of projects from civic buildings, such as the Bega Valley Regional Gallery, to design research, including the recent exhibition New Agency that looked at the future of housing through the lens of an ageing population. 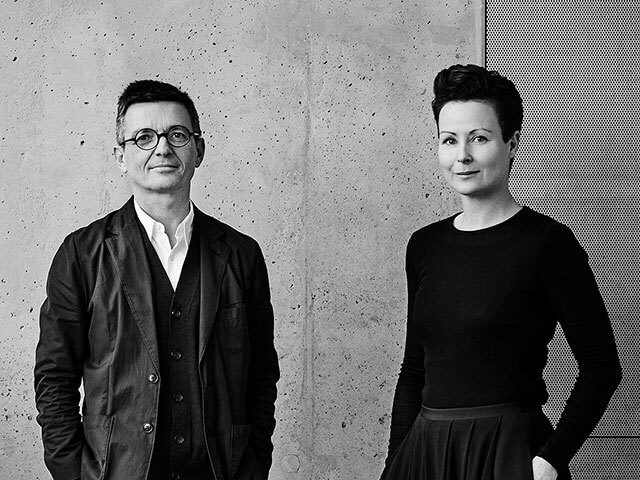 As a director of Sibling, Timothy Moore has overseen its design-research practice, which has seen Sibling exhibit at NGV, Istanbul Design Biennial and Seoul National University, and provide foresight, strategic design and architectural works for leading commercial and cultural institutions and organisations. 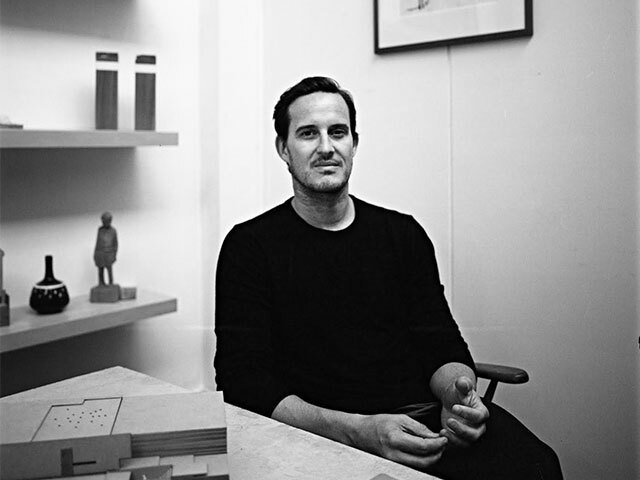 Timothy has also worked as an editor for two influential magazines, Volume and Architecture Australia. 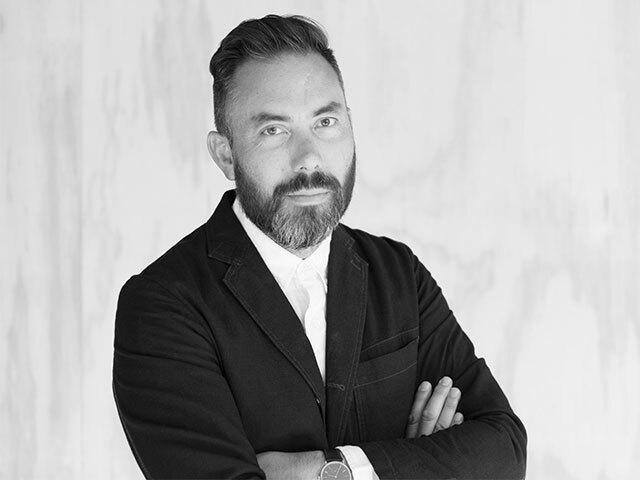 He is currently the editor of Future West (Australian Urbanism) that is published by the University of Western Australia, a lecturer of architecture at Monash University, and part of the curatorial team of Melbourne Design Week. 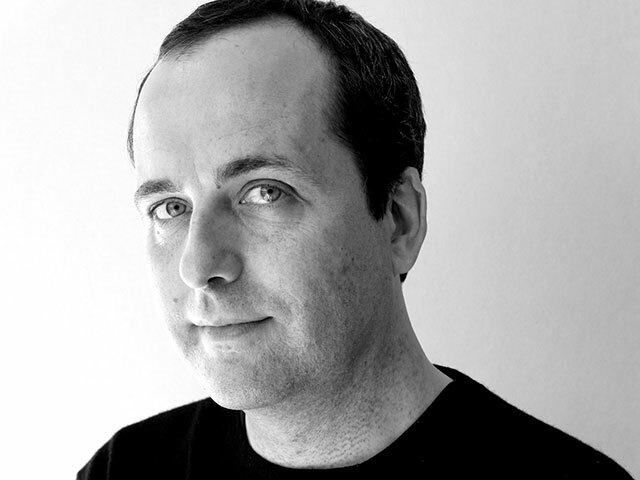 Andy Fergus is an urban designer, co-director of Melbourne Architours and studio leader at the Melbourne School of Design. 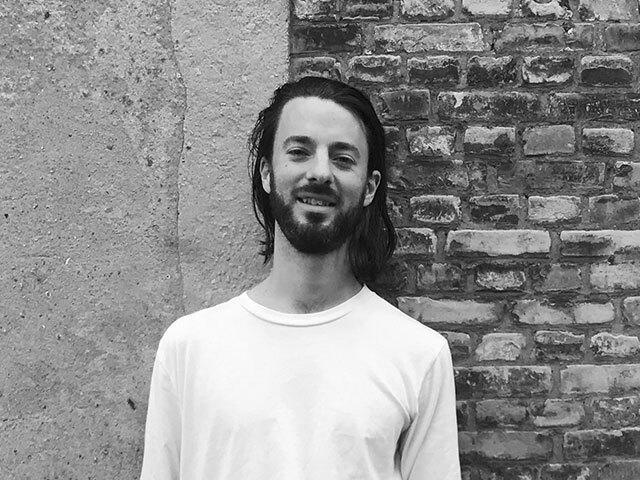 Andy currently works in the design review of major projects and the development of design quality policy in central Melbourne in addition to his role as a licensing committee member of Nightingale Housing and urban design collaborator on a number of Nightingale projects. Andy’s multi-disciplinary background encompasses urban design, urban planning and architecture, and works between these disciplines from the scale of the region to the interface. Andy’s research focus is at the interface between regulation and design, as well as in the design and procurement of non-speculative urban development. 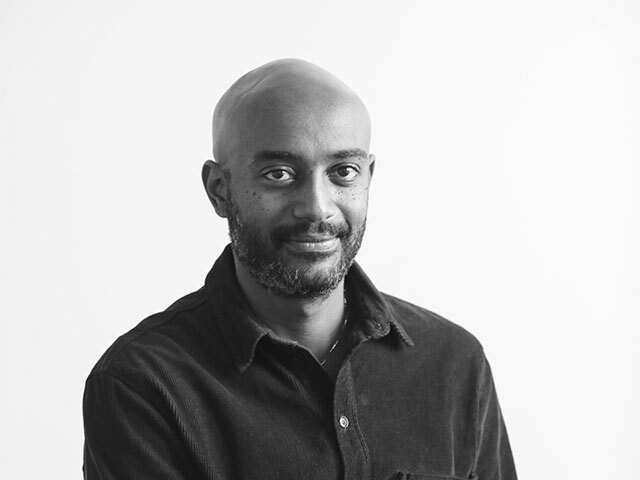 Kieran is a Principal at TheFulcrum.Agency, a creative consultancy that leverages community and social outcomes through evidence-based design strategy, advocacy and research. Kieran’s portfolio of projects includes urban design, educational and public buildings that have been awarded by the Australian Institute of Architects across commercial, public, urban design, interiors, education and residential categories, as well as winning the Australian Award for Urban Design, and an International Award for Public Participation for their work in community led design processes. His writing has been published widely on topics covering urban renewal, indigenous housing and new models of practice and procurement. 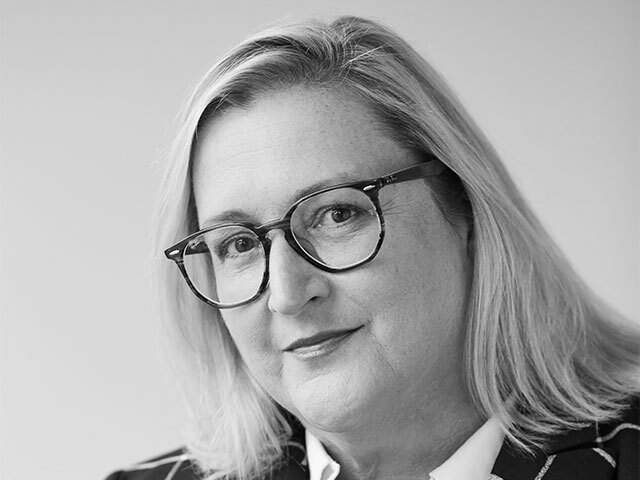 Julia Cambage has over 20 years of CEO experience and joined the Institute as Chief Executive Officer in February 2019. Julia has previously held top level positions at national not-for-profits Procurement Australia and Family Business Australia, developing and implementing sustainable programs to achieve strategic growth.